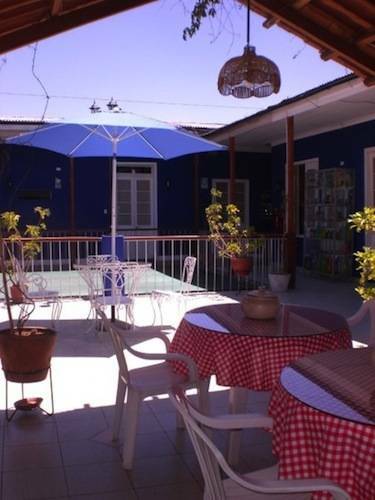 Our property is a very nice old colonial house that has been restored to meet all of our traveller`s need, it is roomy, comfortable and always clean, we have a super friendly staff with excellent guest service that make us your best choice for your stay in Arequipa. 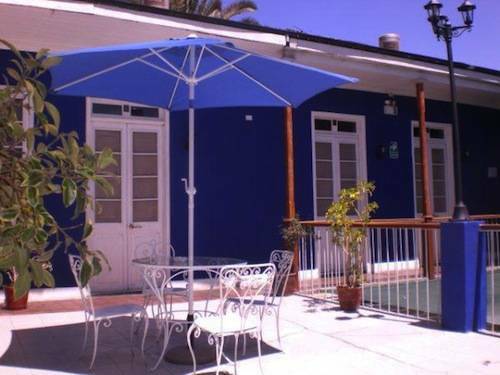 You will love Arequipa's year-round sunny weather at our nice terrace while drinking a couple of cold beers or just chilling while you get a nice tan! We have all the basic things the big properties have all at fair prices. 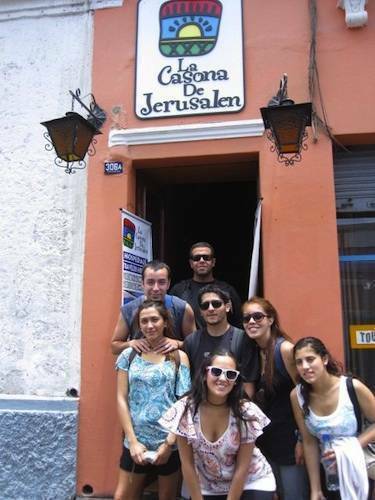 At La Casona De Jerusalen you will feel more like a guest than a client. Bars and clubs are also 2 blocks away, you can go and party all night long to Latin Music or hang around at chill out loungues. Theater and local jazz groups sessions are common around here also. 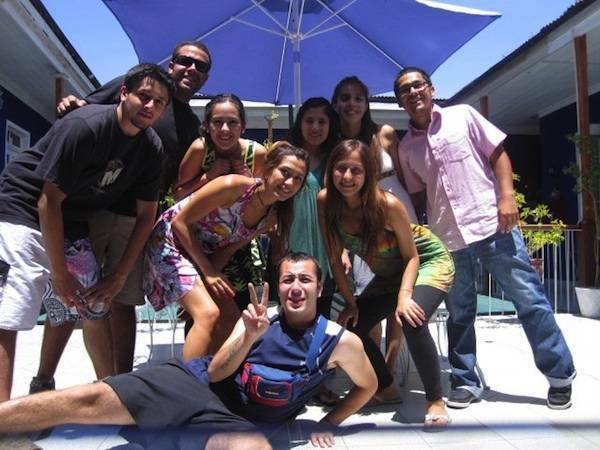 We can arrange all different kind of activities for our guests. From Dowhill Mountain bikng in the Chachani mountain to rafting in the Chili River, Trekking to one of the deepest canyons in the World "Colca Valley" or just hanging around the local parks and plazas. 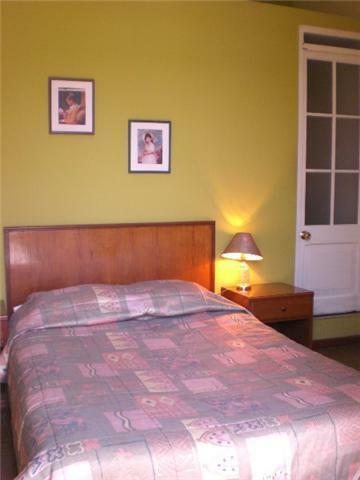 Super clean with daily maid service, our rooms are very spacious with different bed sizes. All the rooms include linens, towels, toilet paper and soap. TV. Cable is standard in all the rooms (exceot dorms) and there is also free WIFI in all the rooms. In addition to that we have a Laptop that you can use free of charge whenever you want. We have rooms with street view but quie enough for you to sleep at night. We also have rooms on the inside in case you like it a little bit more quiet. All the rooms get a lot of light and also very comfy as well. 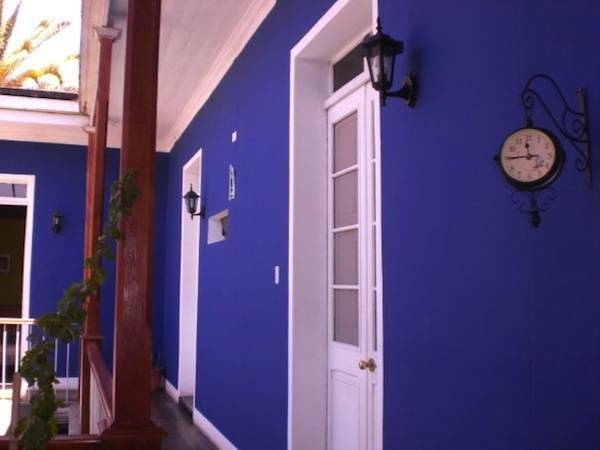 Located at the Colonial and historic downtown of Arequipa, where the streets keep the beautiful white look thanks to the volcanic stone called Sillar! With views of the magnificent Misti Volcano (19, 000ft high) and Chachani Mountain (20, 000ft high). Last Minute rates offered, 40% discount after 9pm! 2 or more nights get 15% Discount! We need a deposit otherwise your booking may be cancelled. No show charge is 100% of the complete rate. Go to the 'Centro' (downtown) of Arequipa, we are on the 3rd block of Jerusalen Street just in front of the 'Policia de Turismo' (tourism police), Taxi fare should be no more than S/. 5. 00 Soles (US$2. 00). Be aware of taxi drivers who want to take you to an specific property just because they receive commissions, we tell you, you won't like those hostels!